I caught something tweeted this morning by Erik of Adjusting the Net on how Federer came out to play with a new racquet against Novak Djokovic in their match in Abu Dhabi. I asked Erik if that could've contributed to the lopsided score, and he scoped Wilson's site and found the switch was merely cosmetic. But what if Federer would've gone out there with a different frame? Is that something he should've done? Or is it way too late at this point to start tweaking his weapon of choice? I actually thought it would've been a good move for him to make a couple of years ago; maybe move up to a 95. He says he's tried out other frames, but they just haven't suited him. In the midst of all that winning, too, why make the change? Maybe the result would've been more Slams, as if 16 weren't enough. He could have taken his lumps for a year, then by the time he'd gotten adjusted, he'd still be looking at a couple of extra years ahead of him to make up for any lost time. I've wondered in the past why players would bother to fool around with their money-makers; I guess making more money is the reason! I didn't think Djokovic's switch would work out, but obviously it has. And even way before him, I didn't understand at the time why Andre Agassi went from Donnay to Head, but it all ended up OK for him, too! 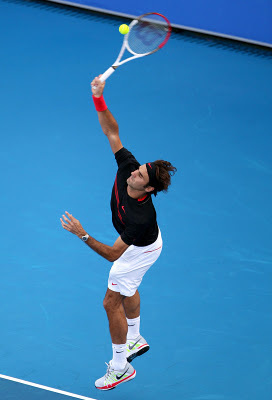 Federer makes me think of Pete Sampras and when he was doing battle with the original Wilson Pro Staff. What happens if he switches to the model Stefan Edberg was using toward the end? Would he have won 20 Majors? I guess that's why they call it "what if"! It's nearly upon us, that 2012 tennis season, and I figured there's no time like the present to start looking ahead, particularly with the '11 season firmly in the past. Whew, talk about one time paradox of a sentence! 12. Rafael Nadal will finish the year on top in the men's rankings. 11. Serena Williams will win two Majors, and finish the year at number one. 10. This year's Slam surprise winner on the women's side: Andrea Petkovic at the French. 9. Andy Murray will make two Slam finals, but still won't win one. 2013 is his year. 8. No American male will make a Grand Slam semi; John Isner will be the number-one American male by the end of the year. 7. Davis Cup champ: Argentina. Fed Cup champ: Russia. 6. Kei Nishikori will crack the top 10. 5. A lot of people are picking Jo-Wilfried Tsonga or Juan Martin del Potro to break up the big 4. Neither one of them will. 3. Ana Ivanovic and Jelena Jankovic both return to the top 10. Caroline Wozniacki's out. 2. Roger Federer: 2012 Wimbledon champ, plus Olympic Gold--in singles this time! 1. Novak Djokovic wins half as many titles as last year. Lleyton Hewitt, David Nalbandian, Kim Clijsters and the biggie, Venus Williams, announce they're hanging it up at the end of the year. The youngest player in the top 20 has been shooting up the rankings the past few years. She has that "sneak-up-on-you" quality I feels to pull off enough big upsets in a row to win a Slam. Although she went titleless for the third season in a row, you could almost say the second half of '11 was one of the best of Kirilenko's career. She finally started to play tough tennis at some of the game's biggest stages. If she starts off hot in Australia, watch out for her there. A career year for the German saw her finish the season in the top 10. I had the fortune of sitting in on one of her press conferences at the U.S. Open this year, and she said then that was she was ready to start thinking about winning Slams. Health will be a big factor with her. If countrywoman Li Na can do it, why can't she? Or at least that's what Peng could be thinking when it comes to her Major-winning aspirations. She hasn't won a singles title yet, but is coming off the best season of her career and has been on an upward swing. If anyone of these four break through for a Slam, I'll have my bases covered. If not, you can't blame a guy for trying to do some predicting amid the unpredictability! Why are those guys still playing? 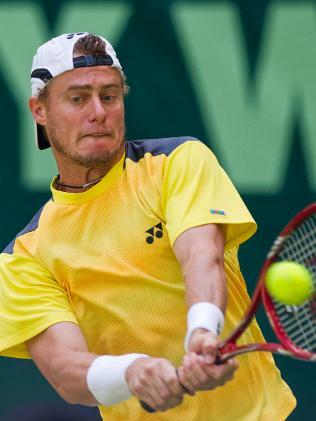 This was triggered after seeing Rainer Schuettler at 132, Arnaud Clement at 153 and Lleyton Hewitt at 186. None of those three would be someone you'd confuse with having an easy time of it on the court as all three won most of their matches--and their millions--with their legs. They're all on the north side of 30 (but younger than me, who's on the south side of 40! ), but still showing younger opponents a thing or two, although at a lot-less-frequent pace. I think it's something to be admired, the work ethic of these guys. Or maybe it's their passion for the game that should be noted. Whatever the case, it's fun watching these "old baseliners" still get out there if it's within their power to do so. I guess the "grind-it-out" style of play doesn't have such a short shelf life after all! Novak Djokovic as Roger Federer--or Thomas Muster? 1995: Now that was a tennis season! Andre Agassi hit the top spot for the first time after winning the Australian and Pete Sampras took home the last two Majors of the year. The French Open was won by Thomas Muster in his first and only Grand Slam final appearance. Muster was doing his impersonation of Agassi and Sampras by putting together a truly extraordinary season in winning 12 titles. Actually, that's Federer-like! 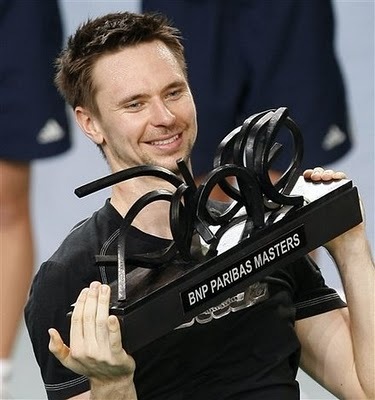 Along with the Slam, he won three Masters Series 1000 events (Monte Carlo, Rome and Essen). Not a bad year, to say the least. The next year, though, was tricky: With the way the rankings system is set up, he had to defend all those points from the dream season or risk seeing his ranking plummet. Muster gave it the good fight: He defended six of them in 1996, plus added an extra title in Bogota. He was shocked relatively early on at the French Open by Michael Stich, but still had a pretty solid year. Seven titles is nothing to sneeze at! Someone who found themselves in a similar situation was Roger Federer. From 2001 to 2004, the number of titles he won went up each year: one at the start to 11 in '04. In 2005, he won 11 again, with seven title defenses. Then in '06, he went one better and brought home 12 titles. He repeated his efforts from the prior year at six of those tour stops. Now Novak Djokovic finds himself in a tough situation after his dream '11 season. Ten titles won, with three of them being Slams and five Masters Series 1000 events, will be exceptionally tough to defend next year. The mental and physical pressure could be too much. It'll be a true test of where he places in the history of the game: all-time great or really good player who had an amazing year. Will the veterans still have their day on the WTA Tour? It's always said in sports that it's a young man or woman's game: You just hit a certain point and things don't come as easy any more. I'm thinking that's not really the case in women's professional tennis. Take a look at the top 20 of the rankings and 13 of them are 24 or older with all kinds of experience. Case in point: Maria Sharapova. The world number four won her first Grand Slam singles title at Wimbledon in 2004, which is a bit of a minute ago. Then you have three of the past four Grand Slam winners—Kim Clijsters, Li Na and Sam Stosur—who no one would ever refer to as a "spring chicken" in the world of pro tennis. Add the return of Serena Williams and it kind of makes it hard to envision a youngster finding their place in the game. Some are, of course, such as reigning Wimbledon champ Petra Kvitova, who's only 21. 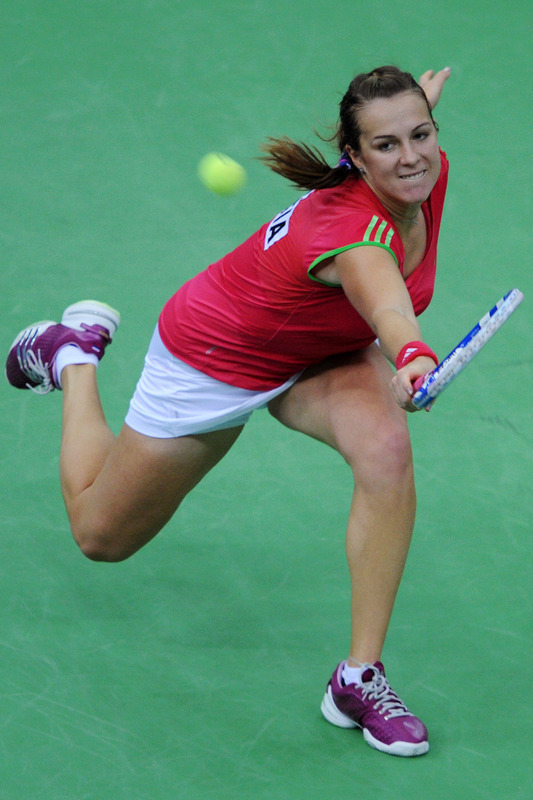 Anastasia Pavlyuchenkova could also have a big year in '12. Even though, I guess it's all a matter of players now really coming into their own right around the age of 25. This could all set the stage for the older players to dominate again when it comes to the game's biggest prizes. And we still don't know how that grand dame Venus Williams will do: That could be more Majors being won by the older contingent! 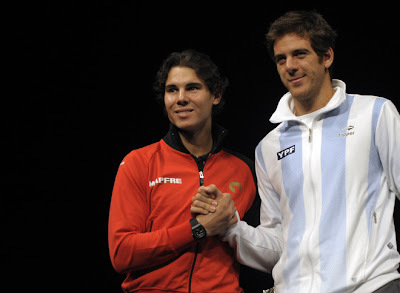 Who will be the ATP's comeback kids in '12? The Swede won four titles before the U.S. Open, but had to shut it down for the year at the tournament after being diagnosed with mononucleosis. As we've seen from various players out there contracting that, it takes a while to bounce back. He hasn't fallen too far in the standings yet, ending the year at 13. A return to the top 10 is possible, depending on his health. The veteran started 2011 off very solidly, making the fourth round of the Australian Open and winning his 10th career title in Santiago. He was playing well at Indian Wells before suffering an abdominal injury that hampered him for the rest of the season, going 2-9 since Wimbledon. Strong play at the Challenger level, plus a late-season win over Jo-Wilfried Tsonga, helped get the big-serving American back into the top 100 by the end of the year. He missed his favorite stretch of the season, the summer U.S. hard-court tournaments. If he makes it there and is playing at his 2010 level, he could possibly go higher in the rankings than he ever has before. It's been a tough go for Hewitt over the past year. He's currently ranked well outside the top 150 and has been battling issues with his hip for a few years now. Still, if there's one player you can never count out, it's the Australian. A del Potro comeback is probably way too much to expect, but if the body's willing, he'll take it as far as it can go. 3-2 Argentina: perhaps I was a tad bit off with my prediction! * Who thought Rafael Nadal would utterly demolish Juan Monaco first match out? * Who saw Juan Martin del Potro losing from a winnable position against David Ferrer? * Who knew David Nalbandian and Eduardo Schwank had such stellar tennis in them? * Who would have figured Rafa would be in a dogfight in his second singles rubber, considering how differently things went for him and del Potro the first day? * Who didn't think David Ferrer had gas left in the tank from a long season to do what he did against del Potro? Anyway, hard to predict, but entertaining, nonetheless. And Spain truly deserved to win it all: Congrats again! It's just a few hours until the first ball is struck in the Davis Cup final between Spain and Argentina. This could be a heavyweight battle. Or a whitewash for Spain. Or a display of epic proportions from Argentina to beat the odds. You really just can't tell! In the first rubber, Rafael Nadal takes on Juan Monaco. Then Juan Martin del Potro goes up against David Ferrer. Realistically, you could be looking at a split heading into the weekend, which is a feat unto itself considering Spain's playing at home on clay. The doubles could yield an interesting result: Fernando Verdasco and Feliciano Lopez have been a solid team for Spain, but you don't know what David Nalbandian has up his sleeve. Eduardo Schwank is a solid-enough player; nerves will be a factor for him. On the last day, the blockbuster match--that is, if the tie's still live--of Nadal and del Potro is first up. Then, you have the possibility of Monaco and Ferrer playing for all the marbles, or reduced to a best of three. It may seem like I'm a little all over the place with talking about this tie, but the circumstances here will do it to you! I'm just hoping for a good final. Wait, I can't chicken out like that: It wouldn't be TTA? if there weren't some prediction. Argentina in a 3-2 upset. There, I said it. We'll see how it unfolds!